With Reference to the texts by Marcus and Jackson, describe the social, historical and/or technological changes which took place in the 1950’s, and assess their impacts on design in the period. 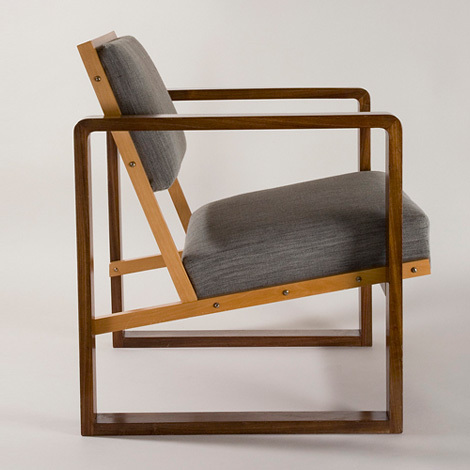 The devastation of World War Two heavily impacted the design industry. The shortage of materials meant that production and manufacturing of textiles came to a halt. After the war people wanted to put the past behind them and look to the future of design. The Festival of Britain was a chance for the government to give the British people a feeling of recovery by showcasing new, fresh designs. “Design did not just have to be new, it had to be free of any reference to the decorative styles of the past” (Marcus, 1998, p.7). The United states lost less money and people after the war so the impact of devastation was not as great therefore Modern design happened more quickly. “But the need to be modern was felt everywhere” (Marcus, 1998, p.7). As factory production had been grounded there was a ‘revived admiration for the values of handcraftsmanship” (Marcus, 1998, p.8). 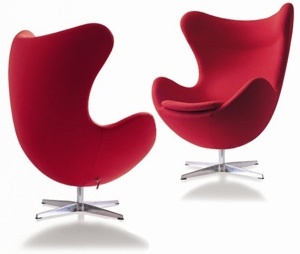 A much needed desire for innovative, modern design flourished throughout Britain. Embracing elements of handcraftsmanship, organic shapes and geometric machine styles from earlier periods combined with optimistic colours helped shape the new style. Along with two other female designers, Lucienne Day became one of the pioneers of contemporary design in the 1950’s. Her distinctive linear motifs and abstract patterns based on plant forms as well as the bold blocks of colour were loved by many. The optimistic message behind her designs was the reason for her success. Calyx was exhibited at the Festival of Britain and was the first design that brought her fame. ‘In the aftermath of the festival of Britain, the immediate task was to capitalize on the success of Calyx by putting more patterns into production of a similar style’ (Jackson, 2001, p.78). 1950’s was very much a time of social change. Broader class barriers and less distinction between the classes meant that it was not just the rich who could afford the desirable designs. More people were working and earning money which resulted in them spending more money on things like decorations for the home. ‘Although Lucienne preferred cotton and linen she was prepared to experiment with some of the cheaper synthetic fibres coming onto the market in an attempt to reach consumers from lower-income brackets” (Jackson, 2001, p.79). 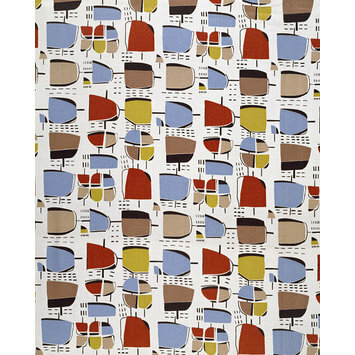 Excited by the idea of expanding contemporary design to more consumers, Lucienne Day created a series of patterns for a variety of companies including the British Celanese, Edinburgh Weavers and Liberty. She had grabbed the opportunity to revitalize British homes with both hands and was not about to let go. “She was rightly credited with introducing a new creative freedom into British Textile Design” (Jackson, 2001, p.80). Meeting the needs of the present, without compromising the ability of future generations to meet their own needs. The characteristic of being able to co-exist with another system indefinitely, without either system being damaged. The UK produces 250’000 tonnes of textiles waste every year. The Hannover Principles – is a set of statements about designing buildings and objects with forethought about their environmental impact, their effect on the sustainability of growth, and their overall impact on society. Insist on the right of humanity and nature to co-exist in a healthy, supportive, diverse and sustainable condition. Respect relationships between spirit and matter. Accept responsibility for the consequences of design decisions upon human well-being, the viability of natural systems and their right to co-exist. Create safe objects of long-term value. Eliminate the concept of waste. Understand the limitations of design. Jez Eaton – Roadkill Couture is a collection of garments created using parts of animals that have died naturally, for example victims of Roadkill. During the seminar we discussed Jackson L. Robin and Lucienne Day: Pioneers of contemporary Design, London, Octopus Publishing. We went through some of Lucienne Days individually and talked about why they were created, if we liked them or not and why, the use of colour etc. Today we had our first seminar with James. Historical, social, political, economic factors etc. Where was it designed to go? Homemaker was designed by Enid Seeney and manufactured by Ridgway Potteries in the 1950’s. The plate was made up of Black and white illustrations of the latest expensive household items. These items were in most cases beyond the reach of the average family. The plate lacked colour and composition. There was no real order or consideration to the placement of the objects on the design. Production consisted of a transfer print with a glaze coat applied on top. The process of production was cheap and so it was initially sold through Woolworth stores. The clever use of the expensive household items throughout the design made it appeal to a larger market. The lower class were finally able to afford some of the richer classes desirable items. It could be argued that there was a very strong message behind Enid Seeney’s homemaker and this was to break down the barriers between the social classes, creating less distinction so that it was not only the rich who could afford the desirable things but the lower classes could finally feel part of the broader society. The plate appeared stylish and contemporary and this was the main reason behind the success of the design. 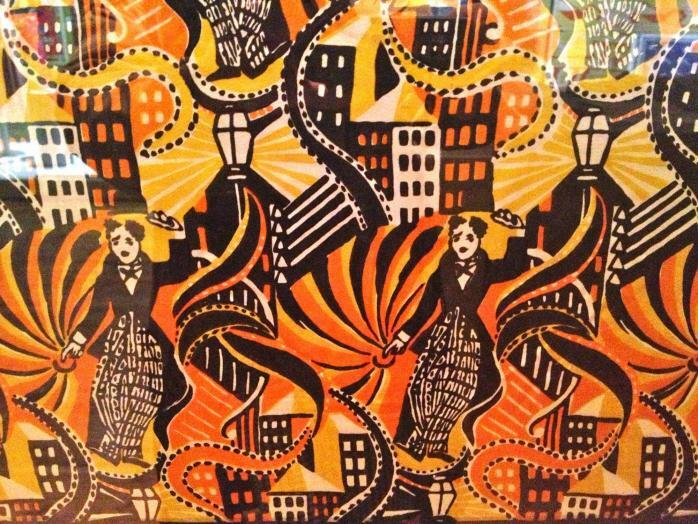 Britain was at the forefront of textile design in the 1950’s. The fresh and innovative designs by Jacqueline Groag, along with Lucienne Day and Marian Mahler helped lead this movement. ‘We are very excited to be showing the work of Lucienne Day, Marian Mahler and Jacqueline Groag at the Fashion and Textile Museum. Their outstanding designs highlight the important contribution these women have made to introducing art and modernity into British lives and homes.’ (Celia Joicey, 2011, p1). In contrast to Enid Seeney, Jacqueline Groag created this very abstract textiles design made up of six colours. The textiles design is very organised and more aesthetically appealing than the Plate by Enid Seeney. This is due to her great use of composition. The colours were still very muted; however, they were a welcomed change from the dull colours used in textiles designs during the Second World War. Her use of colour and bold abstract shapes emerged from the Festival of Britain and was a chance for people to put the devastation of the war behind them and look to the future. A much needed desire for colour and decoration flourished throughout Britain because of the work by Designers like Jacqueline Groag. It became understood by the public that design added to their enjoyment and quality of life. The dynamic patterns inspired by architecture, science and abstract art inspired a new and innovative contemporary style. Advances in the equipment used to produce textile products after the war improved significantly. The use of machines or rollers to print on cheaper fabrics such as Rayon, made it more obtainable for consumers to embrace the bold, colourful and creative designs at affordable prices.